This was an ambitious series that attempted to map something new and contemporary about Arabic speaking and North African communities in Sydney. Both groups had received negative media coverage, and I wanted to push against this by looking at something else–the every day, the creative and the political. The series comprised of five stories covering the arts, human rights, social and cultural change. And of course, personal stories. 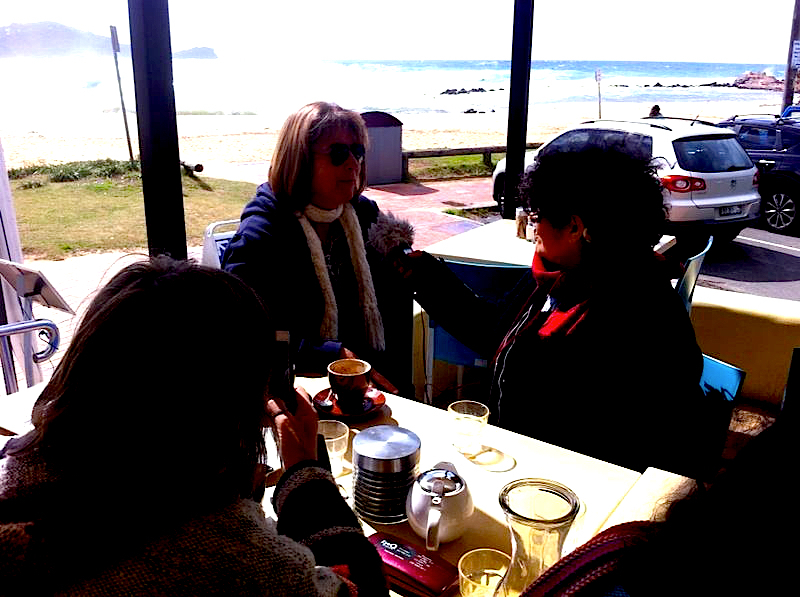 The project took me to the NSW Central Coast and all across Sydney to gather material about Anglo Australian and Arab women connecting through surfing, African women singing to heal the pain of refugee experiences and Jewish and Muslim women writing and performing theatre amid the Palestinian /Israeli conflict. It was challenging and there was lot to say that didn’t end up in the final programs which went to air. So I’ve put here some extra interviews and photos from the project. The images below are from At The Table, about social change and challenging entrenched value systems.